Strokes affect survivors differently, depending on the location of the blockage or rupture in their brains, the severity of the injury, and the time it takes to receive treatment. That means each survivor faces unique challenges when it comes to balance, mobility, speech and cognition. 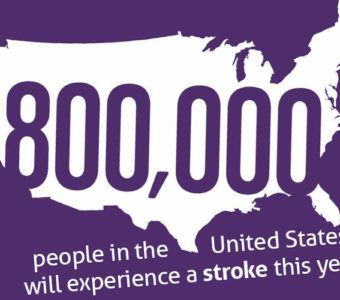 But having a stroke doesn’t mean your active life is behind you. It just means you have a challenging road ahead, and having the right guide can make all the difference. We spoke with three OhioHealth stroke rehabilitation specialists who explained the personalized stroke rehabilitation programs available at OhioHealth, shared their tips on how to get back to activity after stroke, and reflected on their personal connection to their work. Jumping back into exercise after stroke can be challenging both physically and psychologically. “And many medical fitness centers like McConnell have outpatient cardiac rehab programs, but it doesn’t seem as popular to have a post-stroke rehab program or classes,” says OhioHealth clinical exercise physiologist Tony Hansen. To help fill this need for continuing stroke rehabilitation, OhioHealth has developed two programs — the Transitional Neuro Fitness Program, a six-week program that involves one-on-one coaching for people with fewer physical limitations, and Staying Fit Following Stroke and Brain Injury, a 12-week group exercise program for people who may have more significant physical limitations or difficulty walking. All three say the benefits of their programs and others like them for people with brain injuries are that you are working out with people who understand your condition and share your experience. “People can have physical, emotional or psychological changes resulting from their stroke, and it’s helpful to be among people who understand that and are supportive,” says Hansen. To learn more about OhioHealth’s stroke and brain injury fitness programs, call (614) 788.9261.